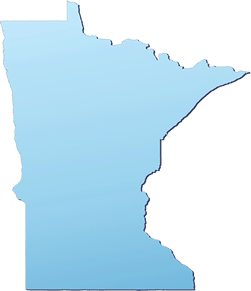 Fields Law Firm focuses on one thing: helping injured and disabled workers throughout Minnesota. 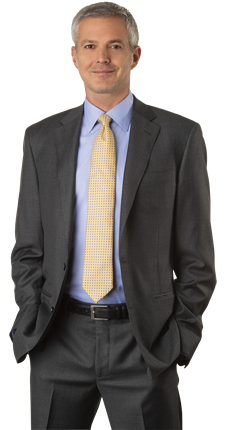 We are one of the largest and most respected Workers Compensation and Disability Law Firms in Minnesota. Whether you're worried about getting fired, wondering about your rights, or just need help understanding the process, we are here to answer your questions. We pride ourselves on helping injured and disabled workers like you, no matter what stage of the process you are at. If you were recently hurt at work, denied disability benefits, or unable to work due to an injury or disability, we can help. Call us today for free, no-obligation advice on your Workers Compensation, Long-Term Disability or Social Security Disability claim. If you have unpaid bills, we're here to help with that, too. Our Debt Settlement Attorneys can help you negotiate payment options on your past due medical bills and credit card debt. At Fields Law, our Minnesota Workers Compensation and Disability attorneys remove the stress of dealing with insurance companies, paperwork and the legal system so our clients can focus on their injury or disability. We truly care about our clients, and we fight hard to make sure they receive their maximum compensation and benefits. But don't just take our word for it. See what our clients have to say about us, and what we've been able to do for them. Call us today for FREE Advice! Talk to a Lawyer at Fields Law today! We know it's hard to find accurate information. We understand you may be confused or frustrated after trying to find answers to your questions. Because of the broad knowledge of our team, our Minnesota Work Injury Attorneys can answer your questions, explain your rights and help you understand all of your legal options. Plus, our comprehensive team of professionals will review your case to determine whether you may be eligible for Long Term Disability, Social Security Disability or 3rd Party Liability claims related to your work injury. You can count on Fields Law Firm to protect your interests, both now and in the future. Not everybody needs a lawyer, but everyone needs good advice. Sometimes you just have a question. Get answers from someone you can trust -- talk to our Workers Compensation and Disability Lawyers now. No appointment is necessary. Simply pick up the phone and call us today for your free and confidential case review. Calls are answered 24 hours a day, 7 days a week. Call 1-888-343-5375 today for answers to your questions. A client came to us at his wits end after suffering several on-the-job injuries, including serious injuries to his back requiring multiple surgeries. The man was distraught because he knew he would not be able to work any longer. Between Social Security Disability, Workers’ Compensation, and Long Term Disability, the man did not know what to do. He turned to Fields Law Firm for advice. We understand the coordination of these benefits because, unlike other firms, we handle each of these claims from start to finish. Our attorneys strategized with our client on how to maximize his entitlement to each type of benefit and put together a plan, which included consideration for when to file for each of type of benefit and how to ensure that one benefit would not impact his entitlement to others. In the end, we negotiated a lump sum settlement offer from the insurance companies for his Workers’ Compensation benefits and Long Term Disability benefits. On top of that, we secured Social Security Disability benefits, which our client continues to receive on a monthly basis.